Classic whites and greens in a ceramic vase. 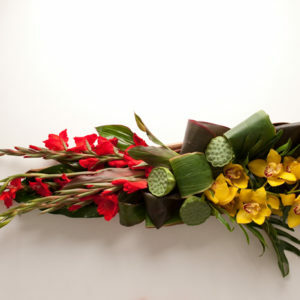 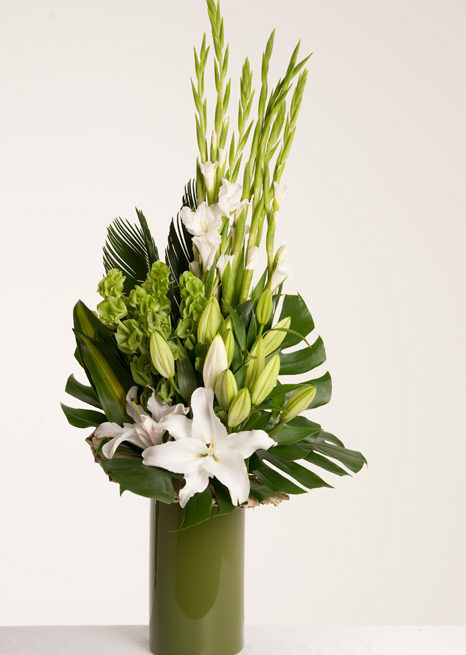 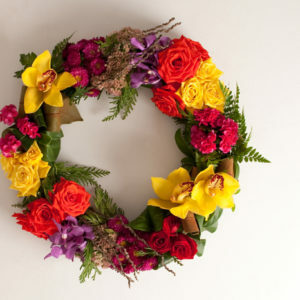 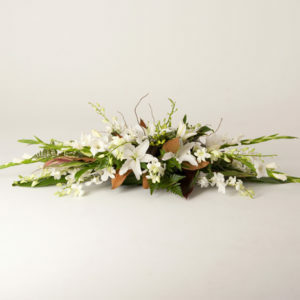 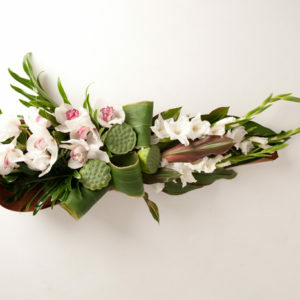 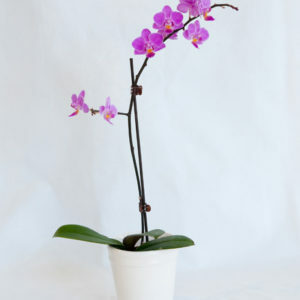 An elegant arrangement for a modern home or to farewell a loved one. 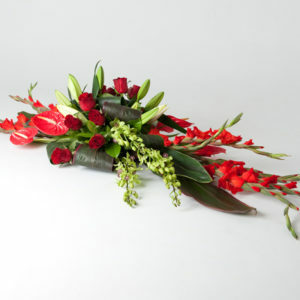 (This design is based on seasonal availability and some colours and flowers may vary). 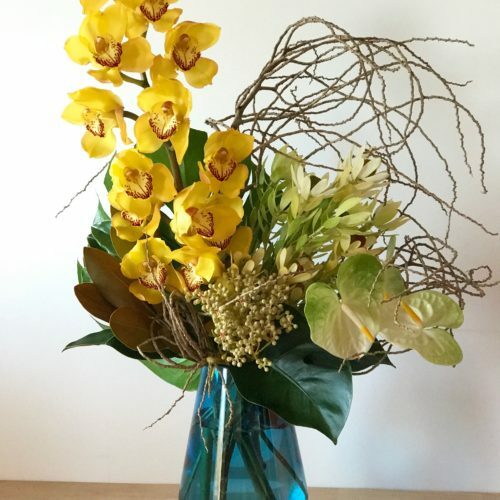 Medium Arrangement pictured.